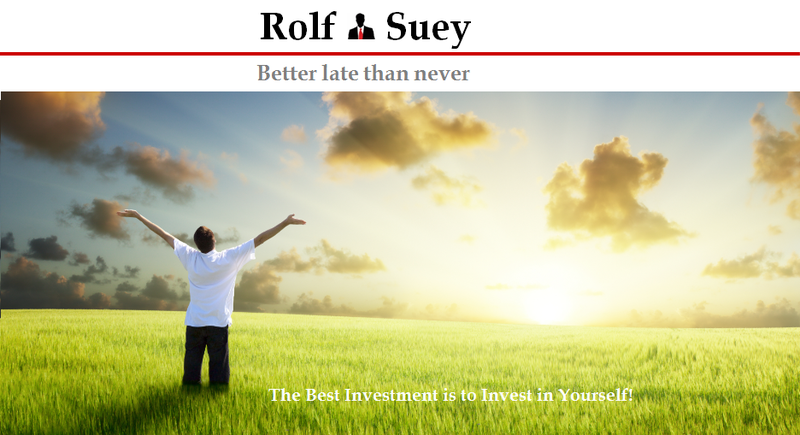 Rolf Suey - Better Late Than Never: The outcome, journey and mind! This post is inspired by fellow blogger, LP’s latest post where he used mathematical examples to exemplify why the journey is more important than the outcome and that our mind is the determinant of that. Person A did it happily and at the same time makes others happy with more love and compassion, despite more time, effort and compassion cast in. Although it is impossible to make everyone happy because truth do ultimately hurts, but the sincerity is felt and the majority will benefit from it in a more sustainable manner over time. Person B achieves the result at the expense of others in a faster and efficient manner with only personal agenda in consideration. Even though he/she is happy in his/her words now, the heart is not right and the loneliness and emptiness will eventually unfolds from within over time despite the short term happiness attain to pacify his/her own egoism. I said this before. I think there are three ways that our mind can be clogged. This means truly lack of knowledge to comprehend truth or simply bo-chup! Often times, gullibility itself can be a sin too. This is anger as we are biased against the truth, because ultimately it triumphs over our own view that we are unable to accept. Then there are fears and worries because this is going to affect the person adversely and he/she has no clue whatsoever what to do in a difficult situation they are in. Hence it will often lead to covering up all of one’s actions with reasons not relevant and logical to the subject matter. Instead the response will be excuses based on self-pity or self-ego or self-abstinence, which eventually led to anger, putting the blame on the truth. In approaching problems, if we can reach the stage to switch off the above three mental blocks, our mind will then be able to see and reason things more clearly. Eventually the path ahead will appear smoother and happier than we initially thought! You will be surprised that how things will take care by itself miraculously too! Thanks for the shout out in your blog :) I've a similar post here on the same theme too that I wrote last year. I don't know why, but I keep coming back to this theme from daily observations of life.